If Santa failed to bring you a new kitchen item or two, now’s your chance to stock up. For example, find steep markdowns on popular brands like Nespresso and KitchenAid. 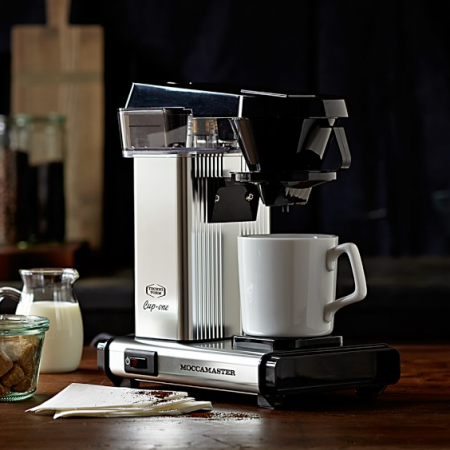 The Nespresso Gran Maestria Espresso Maker is on sale for $549.99 (regularly $599.95). Plus, when you apply coupon code EXTRA at checkout, it’ll take an additional 25% off the price, which drops it down to $412.50. Click on over to its site for a full list of inventory that’s been marked down. And remember, Williams-Sonoma offers free shipping on all orders over $49. Just make sure you use the code SHIP4FREE at checkout. For more tips on saving money at the kitchen specialty store, check out our Williams-Sonoma Store Guide. Find this deal at Williams-Sonoma.